Flatdown is a clean, flat, funky “site in construction” MODX Theme with a working newsletter signup form to build your audience. You can customize pretty much every aspect of the coming soon page (colors, text strings, icons, background image / video, etc.) via the MODX Theme Options panel. 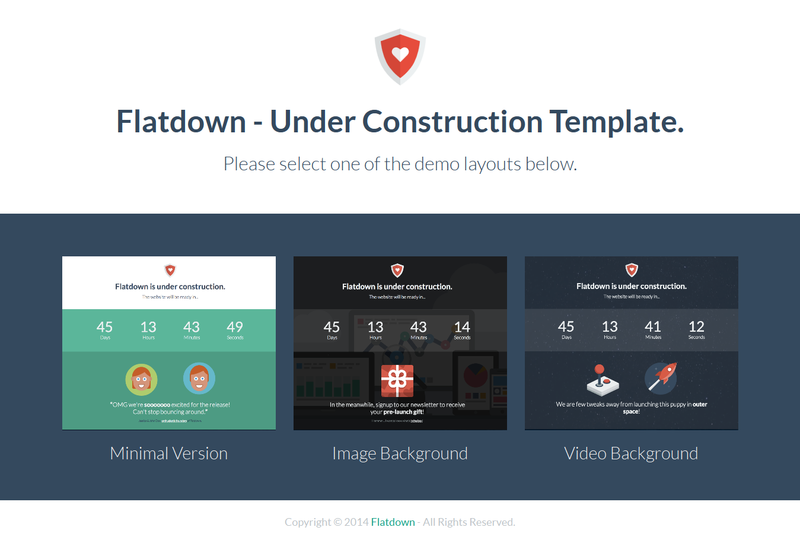 Item Reviewed: Flatdown - Coming Soon MODX Theme 9 out of 10 based on 10 ratings. 9 user reviews.